Our in-depth knowledge and industrial expertise enable us to provide a distinguished range of TCT Tile Cutter. We are offering Marking Tools to our clients. Used with micro motors or any flexible shaft motors capable of 30000 to 35000 rpm, for cutting all types of jewelry, soft metals, watch cases, pen cases, etc. 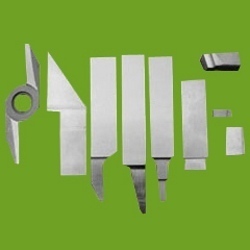 Provided by us is a qualitative range of Marking Tools that are used for hammering tower parts for obtaining clear impression of the markings. 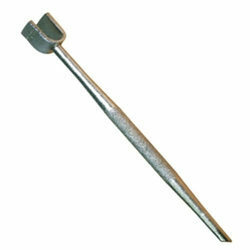 These tools are fabricated using superior grade raw material sourced from the certified market vendors. Apart from this, we also offer custom made tools as per patrons' specifications. Non Sparking Marking Tool Material of Composition : Copper-Berylium Alloy Sparkless ® Non Sparking Tools are Most Suited For Application Purposes In Potentially Explosive Environmenmts.Most of our Non Sparking Tools are Forged after Casting to achieve better Quality, Performance & Attractive Finish. We are offering Bradma Metal Stereo is known for its accurate dimensions, rust resistance and durability. We are engaged in making available premium range of Special Interchangeable Type Set. We are deling in Marking Tools.